Valco Cincinnati products are favorites of the consumer automotive market and racing industry. Check out the Recently Listed Gasket Coatings. Pit Stop USA is The Online Motorsports Superstore! We feature Gasket Sealants at low everyday prices. Check out the Recently Listed Microfiber Cloths and Wash Mitts. Check out the Recently Listed Pliers. Check out the Recently Listed RTV and Silicone Sealers and Gasket Makers. Check out the Recently Listed Waxes. Pit Stop USA is The Online Motorsports Superstore! Valco Cincinnati line of products are offered to the consumer automotive market and high-performance racing industry. Valco Cindinnati Consumer Products division makes sealants, adhesives, cleaners, waxes, polishes and more. Valco Cincinnati engine assembly and detailing products are especially popular with racers including NASCAR's Hendrick Motorsports, Everham Motorsports and Childress Racing; NHRA's Tony Schumacher Motorsports and the IRL's A.J. Foyt Enterprises. Valco Cincinnati products are designed to deliver quality and high performance with easy application. 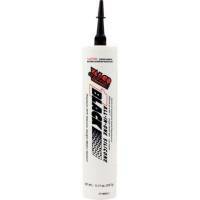 High-performance engine builders trust Valco Cincinnati's complete line of sealants, adhesives and support products for their assembly work. The complete line of Valco Magic MixA detailing products, including waxes, cleaners and brighteners, achieve superior results with less effort. We feature Valco All-In-One Siliconea", Valco Tube-Gripa" Dispenser, Valco Peelera", Valco HylomarA, Valco Threadlockersa", Valco Gellubea" Assembly Lubricant, Valco White Litium Greasea", Valco EpoxiaPuttya", Valco HV-350a" Adhesive and Valco Magic MixA detailing products at low everyday prices.